This is one of those posts that just makes me smile! I love browsing the Pottery Barn Catalog to get ideas, but here is the thing. I can’t afford anything in the Pottery Barn catalog. LOL I have Pottery Barn taste on a Target Budget. That is ok though. You can take some great style ideas and turn them into things you can afford. 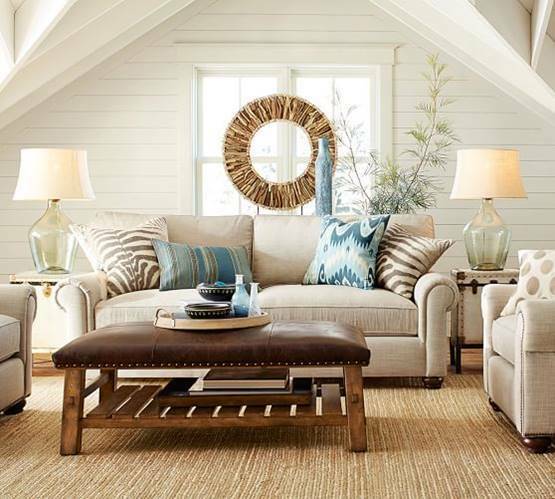 I fell in love with this room from Pottery Barn. So peaceful, clean, and homey. It is part of the Webster collection. 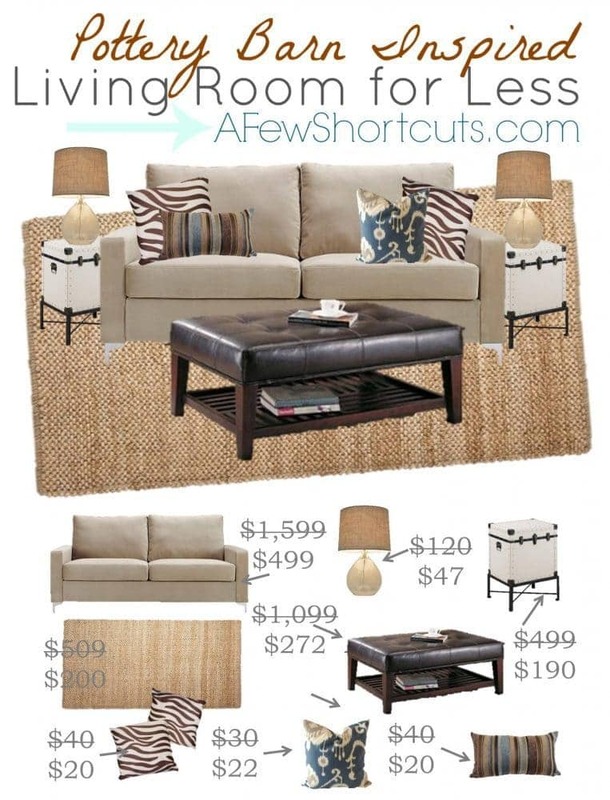 Now check out these items listed below to put together this room for a fraction of the price. 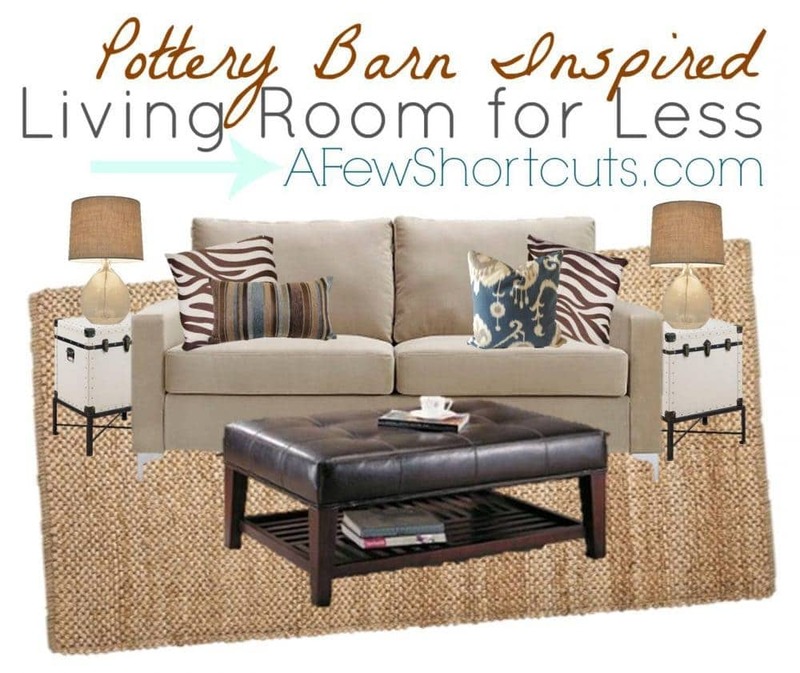 Check out this Pottery Barn Inspired Living Room for Less! All together you would pay near $4000 if you purchase all of this from Pottery Barn. Compare that to these items purchased from Target & Amazon for $1050.58!! That is quite the savings. While it still can be a shock to the budget, pick one or two statement pieces to really get the look you are going for. It’s fun to snag style ideas from the pros. Love it! I love Pottery Barn too but it is pretty expensive! These are great ideas!